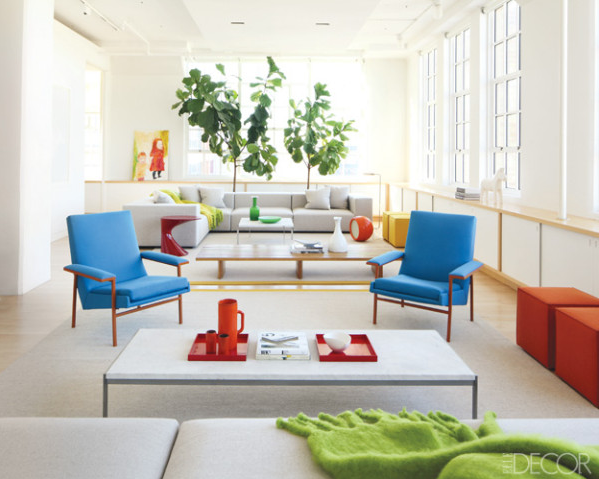 Mix and Chic: Fabulous finds- Fiddle-Leaf Fig Plant For Under $15! 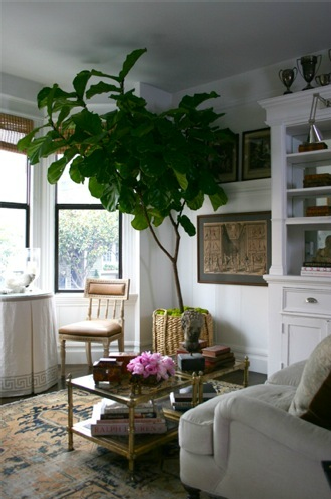 Fabulous finds- Fiddle-Leaf Fig Plant For Under $15! 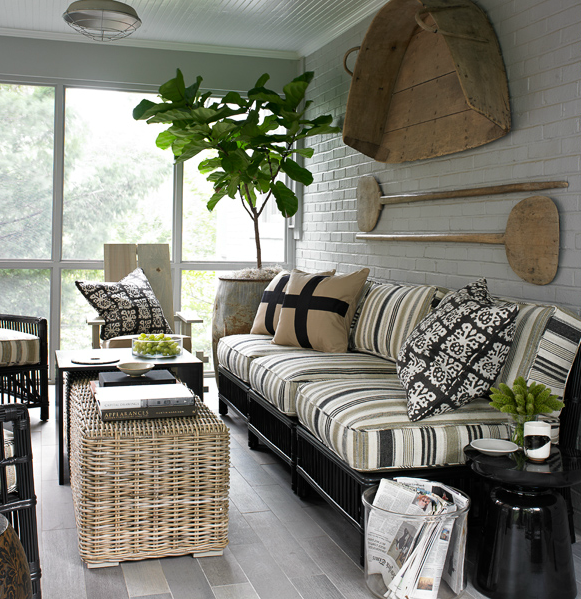 The highly coveted fiddle-leaf fig tree also known as ficus lyrata needs no further introduction. 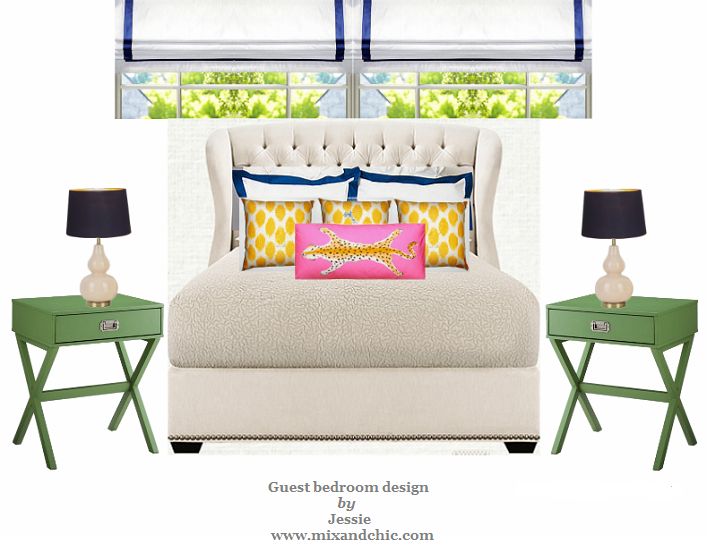 Why are they a popular choice among decorators and design ethuasists? The reasons are simple: they are beautiful, dramatic and sculptural. 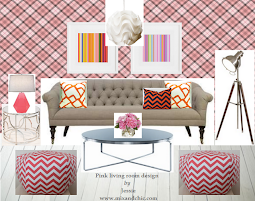 Just look at these fabulous inspirations! 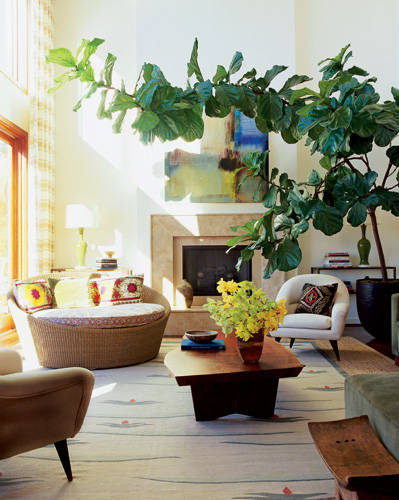 Fiddle-fig leaf plants are versatile and work beautifully in all design styles and homes! 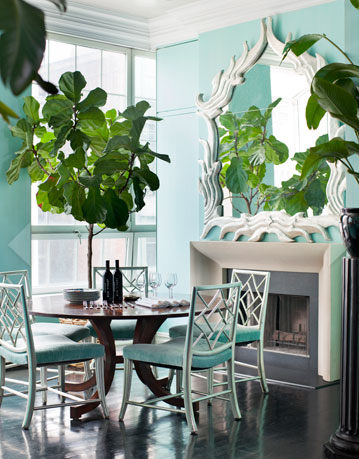 I have been loving the fiddle-leaf fig plant for the longest time (when I first saw them at an Elle Decor magazine about 6 years ago) but I just couldn't find them everywhere. I have heard that you can get them at Home Depot but sadly, they have none in my area. Luckily for me, I found one unexpectedly last week while shopping for a few items at Ikea! I believe they are new arrivals. The Ikea I was in was the one in Schaumburg, IL so if you are in the area, grab it as soon as you can. While I was there, there were less than 10 left. Unfortunately, they are not available online. So my lovelies, if you love Fiddle-Leaf Fig tree and have an Ikea in your area, go there ASAP before the news got out! 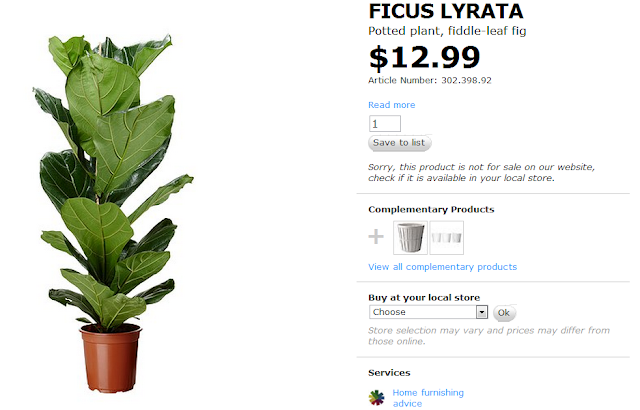 I am not good with house plants and have a tiny budget for home decor but for $13, I am willing to take that risk! My fiddle-leaf fig plant measures approximately 30", by the way. NICE! I have one in my dining room that I have somehow managed to keep alive! Great deal! I have a couple of small ones too. 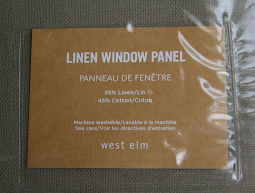 They are so easy to maintain(knock on wood). 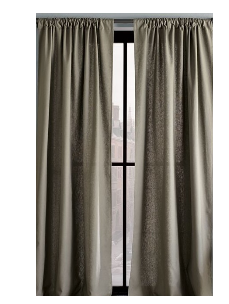 I have been wanting to buy one for my dinning room. That is a good price! Love how they look! I will look for one soon. Are they hard to keep ALIVE? I KILL plants! We have both Home Depot and Ikea!! Oh boy, we have both Ikea and Home Depot. I will be on the search. Are they hard to care for. I kill most plants! hahaha i may have to go get one, because i cant seem to keep my REAL one Alive!!!! These look so good - brightening up a space. These photos are GORGEOUS. I have to figure out a place for one! Ahhh thank you for the tip Jessie!!! I've been wanting one of these; I'll have to check my Ikea! I am a fig fan also Jessie. 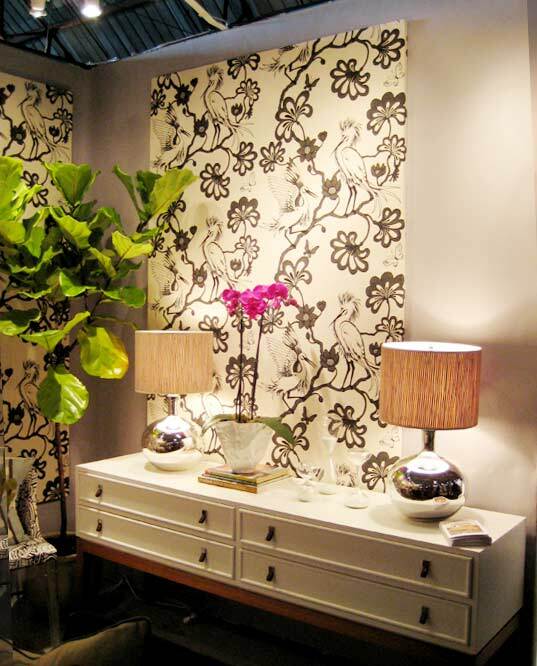 This post has some great examples of how a fig plant can beautify and add interest to a room. 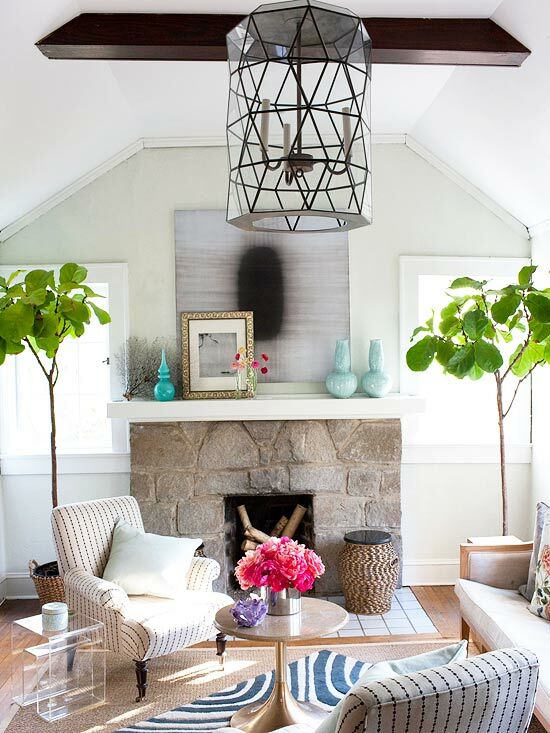 I love the white living room with the two in the corners as well as the one with the tree branching over the fireplace! 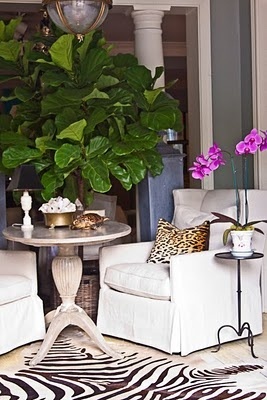 I have been in the market for a fiddle leaf fig tree for awhile. I'm going to go to Ikea today :) However, does the Ikea tree grow to just have the leaves on the top, like the room pictures you posted? Do you need to prune it? 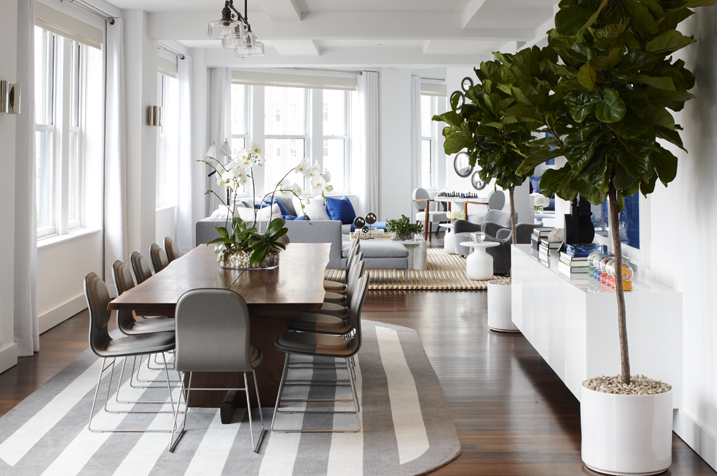 Or is the Ikea tree a different variety and have leaves all the way down? Thanks! The Ikea tree is the same tree as the images you saw above. You will need to prune them so they only have leaves on the top. Hope that helps. I'm also a new fan of your blog! You are welcome, Nicole. My tree is still doing okay although I always forget to water it. It has been almost a year since I bought it and it does take a while for it to grow. Not sure if Ikea still carries it but you can check to make sure. Good luck. Hope you have fun following my blog!